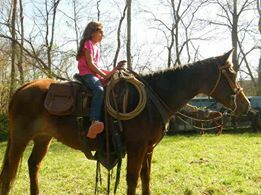 We provide one hour, two hour horseback rides, we also provide 1-2 hour dinner rides on Saturday and Sundays. They all are fun with wonderful things to look at while on the ride. We can take you through phantom canon, by Grizzly Jack tombstone dated in the 1800's. We have many times while riding come across deer and wild turkeys. The wild game are not spooked with the sound of the four footed hoof beat unlike the two footed beat of humans. In the spring and summer months the trees are nice and green with flowers everywhere and in the fall the trees are full of all different splendid colors. between the hours of 10am and 4pm. Make your reservation for an enjoyable ride! Please include the number in your party as well as the day you would like to join us.